The next step towards future-proofing Perth’s busiest bus route will start early next year with construction of a new bus priority lane on Mounts Bay Road near The University of Western Australia (UWA). 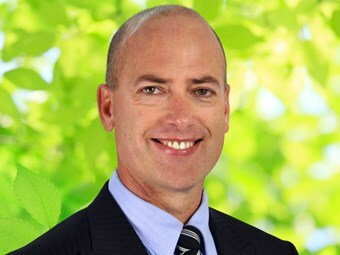 Transport Minister Dean Nalder says the $3 million project will build on the success of the peak-hour Beaufort Street bus priority lanes and Transperth’s most frequent bus service. "The new westbound bus-only lane between Hackett Drive and Broadway will boost the reliability of Transperth services and help reduce congestion in the heavily-used corridor between the CBD and UWA," he says. "The Beaufort Street bus lanes have already cut up to four minutes from journeys between Morley and Perth. "The Public Transport Authority expects the new Mounts Bay Road lane will prevent buses being stuck in traffic and future-proof journey times along this major arterial route." The project will take about six months and will involve reducing the median strip width between Hackett Drive and Winthrop Avenue to create a new traffic lane. The Mounts Bay Road-Broadway intersection will be modified and the road resurfaced. Two lanes will stay open through most of the work, with the only closures taking place at night. "This will complement the new $1 million peak-period bus-only lane between Walcott and Bulwer streets which is part of a 10-year, $14.2 million initiative between the State Government and the cities of Perth, Vincent and Stirling," says Nalder.